Alex Karras, Lesley Ann Warren, Robert Preston, James Garner, Julie Andrews. 1982 Run time: 133. BRAND NEW Amazing low price. 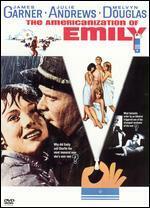 Julie Andrews; James Garner; Robert Preston; Lesley Ann Warren; Alex Karras. New in new packaging. 1982 Run time: 133:00. A man impersonating a woman on stage? Piece of cake. But a woman whose livelihood depends on pretending to be a man who pretends to be a woman? Now you've got problems! 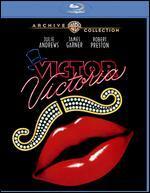 You've also got laughs when Julie Andrews plays Victor and Victoria in this clever delight, from filmmaker Blake Edwards, boasting a marvelous Academy Award(R)-winning* score by Henry Mancini and Leslie Bricusse. 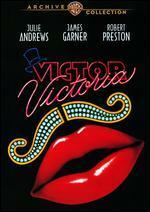 Robert Preston plays a cabaret performer who devises the gender-bender stage act. 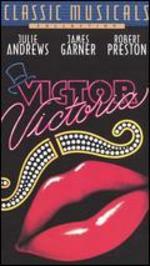 Farcically complicating matters are James Garner as a mobster suspecting Victor is a Victoria and Lesley Ann Warren as a short-fused floozy. 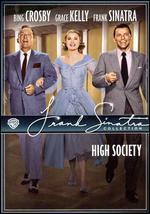 Of this movie's seven Oscar(R) nominations*, three went to Golden Globe(R) Winner Andrews (Actress), National Board of Review Award winner Preston (Supporting Actor) and Warren (Supporting Actress). Lesley Ann Warren, Robert Preston, James Garner, Julie Andrews. Run time: 133. BRAND NEW Amazing low price. 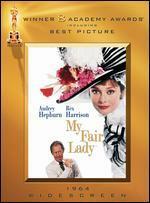 Julie Andrews; James Garner; Robert Preston; Lesley Ann Warren; Alex Karras; John Rhys-Davies; Graham Stark; Peter Arne; Herb... New in new packaging. 1982 Run time: 133:00. A man impersonating a woman on stage? Piece of cake. But a woman whose livelihood depends on pretending to be a man who pretends to be a woman? Now youve got problems! 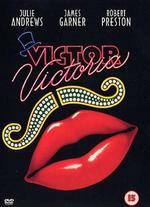 Youve also got laughs when Julie Andrews plays Victor and Victoria in this clever delight from filmmaker Blake Edwards boasting a marvelous Academy Award-winning* score by Henry Mancini and Leslie Bricusse. 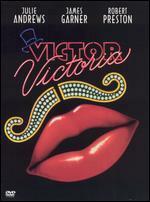 Robert Preston plays a cabaret performer who devises the gender-bender stage act. Farcically complicating matters are James Garner as a mobster suspecting Victor is a Victoria and Lesley Ann Warren as a short-fused floozy. 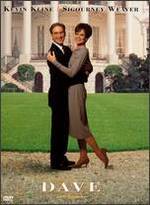 Of this movies seven Oscar nominations, three went to Golden Globe winner Andrews (Actress), National Board of Review Award winner Preston (Supporting Actor) and Warren (Supporting Actress). New. 012569520332 Brand New Factory Sealed VHS (NTSC); Ships Worldwide. Alex Karras, Lesley Ann Warren, Robert Preston, James Garner, Julie Andrews. New. 1982 Run time: 133. Buy with confidence-Satisfaction Guaranteed! Delivery Confirmation included for all orders in the US. this is my second copy because I wore the other one out --BUT--I was also suppose to get a DVD with this order as adervised and I am still waiting for it to arrive. Please hurry with the DVD. i really love this movie....it makes me giggle every time they are singing "home on the range".